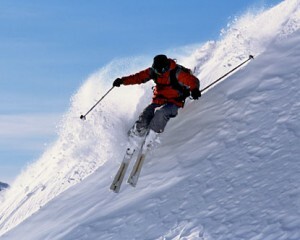 Skiing and Snowboarding are great fun whether you are alone, with friends, or family. Many ski resorts both big and small around the U.S. offer great military discounts for active duty military (and their families), retired military, and in some cases, friends too! Here is a rundown by state of military discounts we have found. Know of a deal we missed, or have any other comments? Let us know in the comments section! 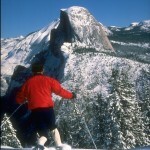 While far from the biggest or steepest mountain, Badger pass offers a great place to learn or just have a relaxing day on the slopes far from the attitude of some ski resorts, plus it has the advantage of being in Yosemite National Park…Home to some of the most amazing vistas anywhere! U.S. active military personnel and VETERANS receive a free lift ticket (and MUCH MORE! ), and their families save big too…See our detailed listing for the whole scoop! Just a 2 hour drive from Los Angeles to the West and and hour and a half from 29 Palms to the East, Bear Mountain is a great place for Southern Californians to enjoy the snow. With over 3,100 feet of vertical and 3,500 acres of terrain, Mammoth truly lives up to it’s name. It was once said that no one wanted to lease that area for a ski resort as it got too much snow (up to 400 inches per year). Mammoth Mountain is surrounded by some of the most spectacular scenery the Sierra Nevadas have to offer. Active duty military get a 50% military discount on weekdays and a 25% military discount on holidays and weekends. Northstar has something for everyone…From steep and deep, to fun runs for the whole family. Right between one of the coolest mountain towns anywhere (Truckee, CA) and Lake Tahoe, Northstar is a great destination for snow lovers. Military discount lift tickets at Northstar are $72 for adults and $39 for children. Home to the world famous KT-22, Squaw Valley is a mecca for extreme skiers and snowboarders, but if you are not one of them, don’t let that scare you off…With 30 chairlifts and over 3,600 acres, Squaw Valley has terrain to suit all levels and moods. FREE lift tickets for active duty military. Valid Sunday-Friday. Click the link for more information. With five huge peaks spanning 2,908 acres, Breckenridge skiing has something for all abilities and interests. Every beginner and intermediate trail is groomed nightly so you can enjoy endless turns throughout your day. Or, ride North America’s highest chairlift, the Imperial Express, up to the high alpine bowls for unforgettable views and steeps. If you’re looking for terrain parks, Breckenridge has four—one for every skill level. See our detailed listing for 2014 – 15 military discounts. 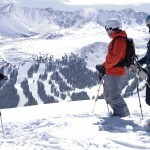 Keystone offers the largest amount of terrain in Summit County, Colorado. It is also home to the longest ski day in Colorado, operating from 8:30am-8pm. We’ve also got the top ranked terrain park, A51, in the state and one of the best in the country. Keystone has a newly rennovated, luxury spa, a 5-acre ice-skating rink, 100,000 square foot conference center and that isn’t the half of what Keystone has to offer. For military discounts, see our detailed listing. Also available is the Liberty Pass, which allows unrestricted skiing for active duty military and their families at Keystone and Arapahoe Basin for a low price. Retired military can get the Liberty Honor Pass which grants access to Keystone and Arapahoe, except for limited blackout dates. The closest ski resort to Denver, Loveland is very popular with the locals, but proximity is not all it has to offer…There is also an average of 423 inches of snow a year, free up-close parking, no crowds and great terrain. Created by Walt Schoenknecht in 1947, Mohawk Mountain Ski Area has been a family business and popular destination for people throughout the East Coast for 66 years. Active duty military ski free at Mohawk Mountain, veterans pay the junior rate with proof of service. 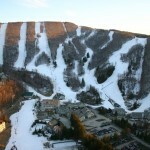 The largest ski and snowboard resort in Southern New England, with 45 trails and 9 lifts over 170 skiable acres. Through February, military families can get a $15 military discount on lift tickets, as well as great savings on rentals, lessons and lodging. In March, the military discounts increase to 50% off lift tickets, rentals and lessons! Active duty and VETERANS get great military discounts at Ski Butternut. Get details from our detailed listing. Active duty and VETERANS can get up to a 21% military discount on lift tickets, and receive a 10% military discount on their whole check at any of Snowbird’s sit down restaurants. Active duty and RETIRED military can save an additional 10% on Snowbird lodging. Located only 78 miles from Downtown Seattle, Stevens Pass Mountain Resort is one of the Northwest’s premier resorts offering 10 lifts, over 1,125 acres of skiable terrain, 37 primary runs. Military discounts for active duty, retired military, reservists, DOD, civilian employees, peace corps and their dependents on lift tickets, passes, lessons, and rentals! Situated less than an hour from Seattle and composed of four unique base areas, we pride ourselves on our convenience and diversity of terrain. The vertical drop ranges from 2,280 ft (690 m) at Alpental, to 765 ft (233 m) at Summit West. Combined, the four base areas have a total of 18 chairlifts, and 6 surface lifts. The resort is open seven days a week, with night operations 6 nights per week. To get the best military discounts at The Summit at Snoqualmie, purchase your tickets online. The in-person military discount is 10%. The Summit at Snoqualmie also offers military discounts on season passes for the whole family as well as tubing. Snowshoe is the premier destination for Mid-Atlantic & Southeast skiers, snowboarders and winter enthusiasts. Our mountaintop Village, amenity offerings and, of course, amazing skiing make us ideal for anyone looking for a true resort experience. 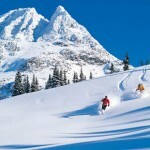 50% military discount on midweek and value season lift tickets. 25% military discount on weekend and holiday lift tickets. 10% military discount on lodging anytime Summer or Winter. Active duty military and VETERANS can get a FREE Killington Express Card, which gives them great military discounts on lift tickets all season!